I was lucky to be invited to LinuxCon Brazil, taking place in *drumroll* Brazil! Sao Paulo to be precise. The conference centre was very spacious and the conference itself seemed to be much bigger than in Japan. My talk on GNOME 3 (actually 3.2 and 3.x) was well received and I hope I was able to entertain a bunch of people and make some of them try the new GNOME. Fortunately, our friends from OpenSuSE just released their new version a couple of days ago and brought some machines and media to try it out. Needless to say that it features the latest and greatest GNOME release. We had a good discussion during the talk and I talked to many people after the talk. There was more interest that I expected. I was told that even Linus and Dirk Hohndel commented on it in the speaker’s room when I was not there. I couldn’t really attend the other talks as I wanted because they were held in Portuguese There was translation but only for the foreign speakers not talking in Portuguese. So sadly I had to stick to talks that I either knew or didn’t interest me that much. But there were a couple of interesting ones, nonetheless My favourite was Jan Kiszka talking about “Developing Linux inside QEMU/KVM Virtual Machines” because I learned how to actually be able to pass data from my host system into my guest QEMU machine. It wasn’t all too easy to get to Brazil though. I had flight troubles in Amsterdam with KLM again. The security at the gate wanted to search my bag but I refused. I was told to either let them search the bag or wait for the supervisor. I chose to wait as I had quite a bit of newspaper left. Eventually one of the security guys called me out and told me to go out of the gate area to talk to the supervisor. We talked and came back to the gate where I was about to put my stuff into the xray machine. But then the guy came and told me that the flight attendant told him that I couldn’t fly. So I asked the woman directly whether I was denied boarding. She said yes because I caused a queue. I demanded a list of my rights because I was denied boarding and she sent me to the Transfer desk. Then she left… When I went to the transfer desk, I figured out that I was not referenced as being denied boarding but No-Show, i.e. I just wasn’t present. But that’s ridiculous as I sat in the gate except for three minutes when the supervisor called me out. For that reason, I wasn’t provided a list of my rights and the transfer agent wasn’t friendly at all. A second transfer agent managed to get me on the next flight though. I thought I’d like KLM, at least for them flying to South America not crossing the US. But I probably have to go with Iberia the next time. 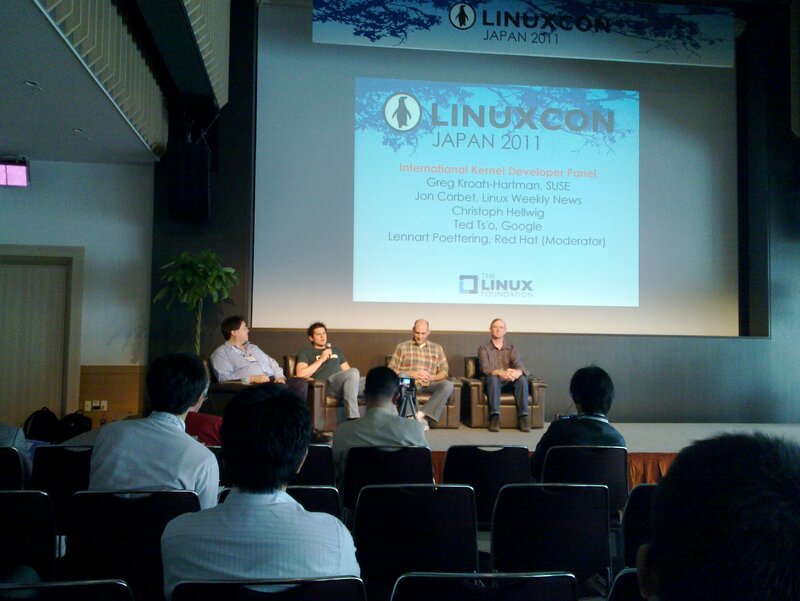 Thanks to the Linux Foundation I was able to attend LinuxCon 2011 in Japan. I used the opportunity to distribute GNOME 3 DVD Images and leaflets during my talk about GNOME 3 which was well enough received I’d say. While I collected a lot of experience approaching people and telling them about all the niceties that GNOME 3 offers over the last few month, I really had too little time to tell all the brilliant things about our new GNOME. Anyway, it was nice to be on the very same schedule as the very important Linux people like Greg KH, Linus or Lenny. The conference itself was hosted in a very spacious building: The Pacifico in Yokohama. One could see that impressive building from our hotel room. Just nice. The conference was well organised and the provided amenities such as food and drinks were good enough. I was particularly impressed by the simultaneous translations that were done by two elderly men. The talks were generally interesting, probably because I haven’t been to a kernel focused conference and I found it interesting to get new input. My favourites were the Kernel Developer Panel were one could pose question onto the Kernel people face to face and the talks about the social aspect of Kernel development. Despite all the trouble in Japan, we had a very good time and in fact, there weren’t many indicators to the earthquake or the nuclear catastrophe. The most annoying inconveniences probably were the turned off elevators. Other than that, we didn’t really see any disrupted services or chaos or problems at all. Traveling in Japan is a real pleasure as the train system is gorgeous and the cities are very well mapped. You encounter a city map just about every other corner and it’s very detailed and helpful. Japanese people are extraordinarily friendly and although there is a language barrier, they try to understand and help you. The downside is, that Japan is quite expensive. Especially the train system, but also lodging and food. However, the quality is very good, so it’s probably worth the money. Oh, I almost forgot about the GNOME 3 Release Party that we had the other week. 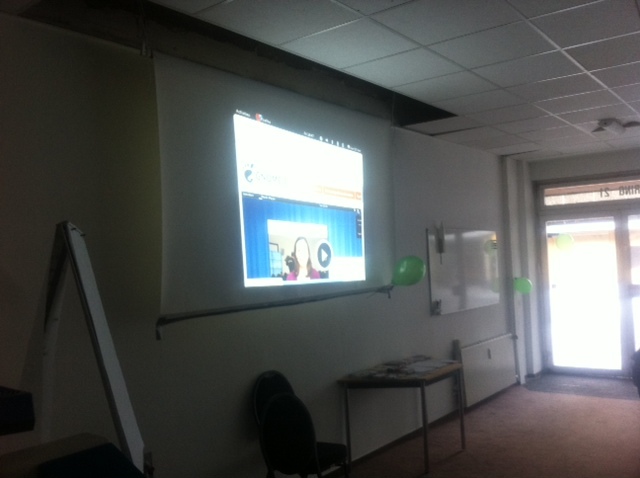 In fact, I had two times the pleasure of showing off GNOME 3 to the people. The first and official Release Party was held in the Attraktor. We even got mentioned by Heise. The second time was in my university during a self organised seminar. On both occasions, I had to entertain a good bunch of people (around 15 and 30) and, well, it went at least alrightish, I’d say The second time was a bit confusing, because my Laptop didn’t want to as perform well as I expected so a good bit of improvisation was needed. But it was great fun overall. The goodies, that were provided by the GNOME Foundation, were well received, esp. the T-Shirts. I showed off the really brilliantly done videos that Jason produced. We demoed and discussed those features and discovered even more stuff on the way. I haven’t really worked much with GNOME3, esp. GNOME Shell before and it’s kinda awkward in the beginning, but I got used to it very quickly. I really like much of it now. Thanks to the Attraktor for having hosted us. And thanks to the attendees for the nice discussions. I’m looking forward to do some more GNOME3 presentations at coming LinuxTag and other occasions. For the new GNOME-3 love we will have a release party in Hamburg, just as many places over Germany and the whole world! If you want to join the fun, be in the Attraktor, the local hackerspace. The address is Mexikoring 21, 22999 Hamburg, Germany, Europe, Earth, Solarsystem. Find more detailed instruction on how to get there here. The party starts on Friday, 2011-04-08, at 18:00 and runs open end. 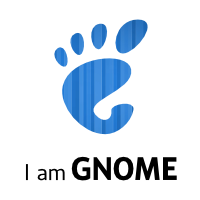 Besides the GNOME-3 images, we’ll have GNOME-3 goodies to give away! Thanks a lot to the GNOME Foundation making that possible! So show up early to claim your goodies! I am very excited about having attended this years FOSDEM. Unfortunately, times were a bit busy so I am a bit late reporting about it, but I still want to state a couple of things. First of all, I am very happy that our GNOME booth went very well. Thanks to Frederic Peters and Frederic Crozat for manning to booth almost all the time. I tried to organise everything remotely and I’d say I partly succeeded. We got stickers, t-shirts and staff for the booth. We lacked presentation material and instructions for the booth though. But it still worked out quite well. For the next time, I’d try to be communicate more clearly who is doing what to prevent duplicate work and ensure that people know who is responsible for what. Secondly, I’d like to thank Canonical for their generosity to sponsor a GNOME Event Box. After the orginal one went missing, Canocical put stuff like a PC, a projector, a monitor and lots of other stuff together for us to be able to show off GNOME-3. The old Box, however, turns out to be back again *yay*! Sadly, we will not represent GNOME at upcoming CeBIT. But we will at LinuxTag. Latest. It was especially nice to see and talk to old GNOME farts. And I enjoyed socialising with all the other GNOME and non-GNOME people as well. Sadly, I didn’t like the GNOME Beer Event very much because it was very hot in the bar so I left very quickly. 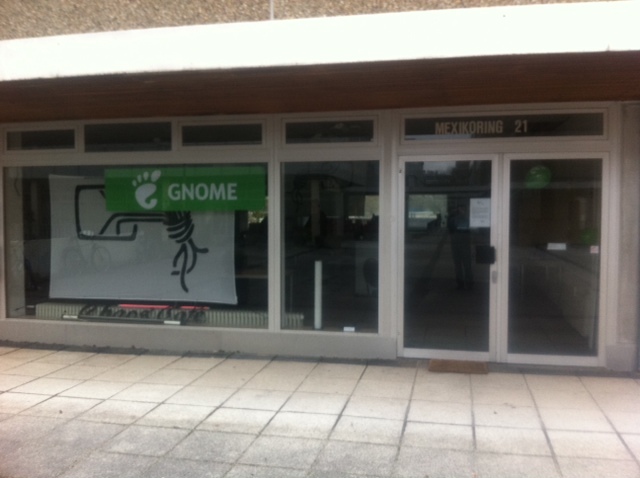 So FOSDEM was a success for GNOME I’d say. Let’s hope that future events will work at least as well and that we’ll have a strong GNOME representation even after the GNOME 3 release.